Want some no-nonsense, all-action gaming? 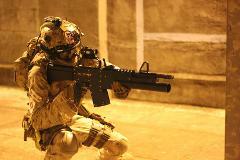 Public sessions are 2 hours of a mix of team based and objective-based gaming. Come by yourself, or recruit your friends! All bookings are confirmed when we reach minimum no. of 12. 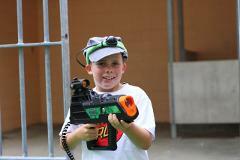 Enjoy a 2 hour public session full of laser tag action at our urban venue The Maitland Gaol - Get your game on! 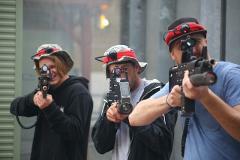 Enjoy a 1 1/2 hour public session full of laser tag action at our urban venue The Maitland Gaol - Get your game on! Specifically tailored to players that are under 12 years of age. Want to take your gaming to the next level? 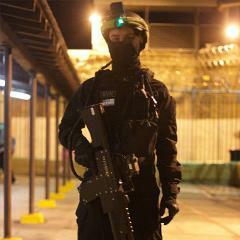 Our Extreme sessions are 3 hours of intense, objective based, action packed missions! Not for the faint of heart! 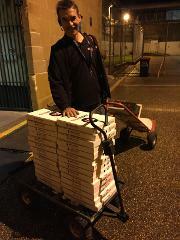 Full site access with Pizzas included at end of session. Pizza/drink Package available to add to your booking - feed the troops! 1/2 pizza plus soft drink per player.